The charger is a replacement of the original AC-UB10 and specs of this charging adapter is designed and made specifically to provide the best charging experience for Sony a5100 16-50mm Mirrorless Digital Camera batteries and uses the latest technology and highest quality components that can handle high temperatures and provides over-heated protection, over-current protection, and over-charging protection to make sure your batteries stay safe to provide long-term use. This Travel Charger Kit takes little to no space due to its compact design without adding any bulk to your luggage and can easily stay unharmed in tight spaces thanks to its high build quality. The 3ft male to male USB Cable is made to provide the lowest resistance possible to speed up the charging process, increase transfer speed between the camera and PC it uses 28 AWG conductors for both data and power and is shielded to protect against signal interference and data loss whereas the high-quality construction ensures without any decrease in performance. Each of our products are made with the best interest of our customers in mind which is why they are so reliable and convenient. Excelshoots strives to provide our customers with high quality products that we can be proud of which is why we offer a 1-Year Full Refund Warranty if they don't live up to your expectations. Click on the Add To Cart button to order today with the confidence of knowing you're making a risk free investment! WHAT'S INCLUDED: This Pro Charger Kit comes with everything you need to keep your Sony Alpha A5100 Digital Camera charged while you travel, at office or when you're at home. Each package contains a 3ft USB Cable along with 10W Power Adapter that is specifically made to provide your Sony a5100 16-50mm Mirrorless Digital Camera with optimal charging. POWERFUL & RELIABLE: Excelshoots 10W Power Adapter is made of high quality and durable components to provide you with high-speed charging wherever you need it. The plug-in adapter operates at 100-240V 50/60Hz 0.45A MAX, provides an Output of 5.0V 2.0A to enable fast charging without harming the battery in any way for long-term use. FAST CHARGING & SYNC: Whether it's charging your camera or transferring files to a computer, nobody likes waiting. The 3ft USB Cable is made to provide you with a faster charge and more stable data transfer to your PC or Mac and can also be attached to an AC Adapter to charge your Sony Alpha A5100 Camera quickly and reliably. 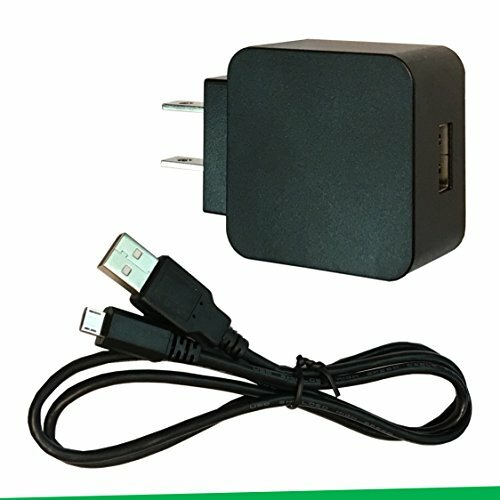 MADE FOR TRAVEL: Made of high quality, lightweight materials, our power adapter is compact and easily fits with your luggage without adding any bulk making it perfect for on the go as well as being able to handle the wear and tear involved with traveling and keeps your batteries charged at maximum capacity. QUALITY YOU CAN TRUST: Customer satisfaction has always been and always will be our top priority. We're so confident that you'll love our Travel Charger Kit that we offer a 1- Year Warranty! Have any questions for us? Don't hesitate post it on the Q&A Section Below or contact us and we'll answer any question you have. If you have any questions about this product by Excelshoots, contact us by completing and submitting the form below. If you are looking for a specif part number, please include it with your message.